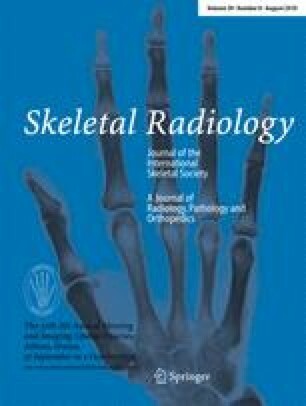 The purpose of this study was to evaluate the diagnostic value of a spreading epidural hematoma (SEH) and deep subcutaneous edema (DSE) as indirect signs of posterior ligamentous complex (PLC) injuries on MR imaging of thoracolumbar burst fractures. We retrospectively reviewed spinal MR images of 43 patients with thoracolumbar burst fractures: 17 patients with PLC injuries (study group) and 26 without PLC injuries (control group). An SEH was defined as a hemorrhagic infiltration into the anterior or posterior epidural space that spread along more than three vertebrae including the level of the fracture. A DSE was regarded as a fluid-like signal lesion in the deep subcutaneous layer of the back, and its epicenter was at the burst fracture level. The frequency of the SEH/DSE in the two groups was analyzed. In addition, the association between each sign and the degree of vertebral collapse, the severity of central canal compromise, and surgical decisions were analyzed. Magnetic resonance images showed an SEH in 20 out of 43 patients (46%) and a DSE in 17 (40%). The SEH and DSE were more commonly seen in the study group with PLC injuries (SEH, 15 out of 17 patients, 80%; DSE, 16 out of 17 patients, 94%) than in the control group without PLC injuries (SEH, 5 out of 26, 19%; DSE, 1 out of 26, 4%) (P <0.0001). The SEH and DSE were significantly associated with surgical management decisions (17 out of 20 patients with SEH, 85%, vs 8 out of the 23 without SEH, 35%, P =0.002; 15 out of 17 with DSE, 88%, vs 10 out of 26 without DSE, 38%, P =0.002). The SEH and DSE did not correlate with the degree of vertebral collapse or the severity of central canal compromise. The SEH and DSE may be useful secondary MR signs of posterior ligamentous complex injury in thoracolumbar burst fractures.